This week sees a number of events across the CBA North region. There are events in Berwick (this evening), Newcastle and Appleby (Wednesday and Thursday evenings respectively) on a range of project and sites inside and outside of our area, from groups inside and outside of our network. There is plenty to take your choice from, and more again to come soon as news to you. If you would like to submit anything of your local groups recent activities or plans for the summer please let us know. Richard Annis, Senior Archaeologist at Archaeological Services Durham University, writes to us giving us a foretaste of his Berwick lecture to the Border Archaeological Society [BAS in our events listing] tonight and whose results will appear in a forthcoming book and exhibition on these soldiers. “In November 2013, human bones were found during building work at Durham’s Palace Green. 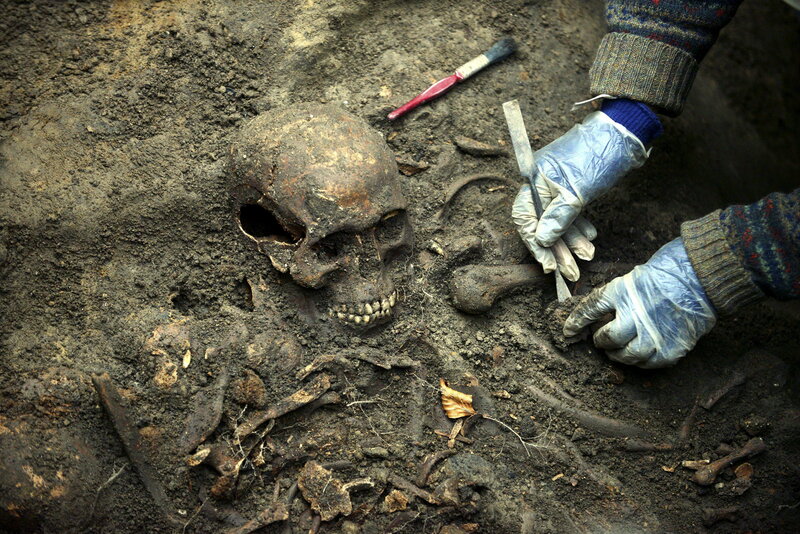 The excavation that followed found the skeletons of 28 young men in two mass graves. A long and painstaking archaeological project showed that they were some of over 1600 Scottish prisoners who lost their lives at Durham after the Battle of Dunbar in 1650. 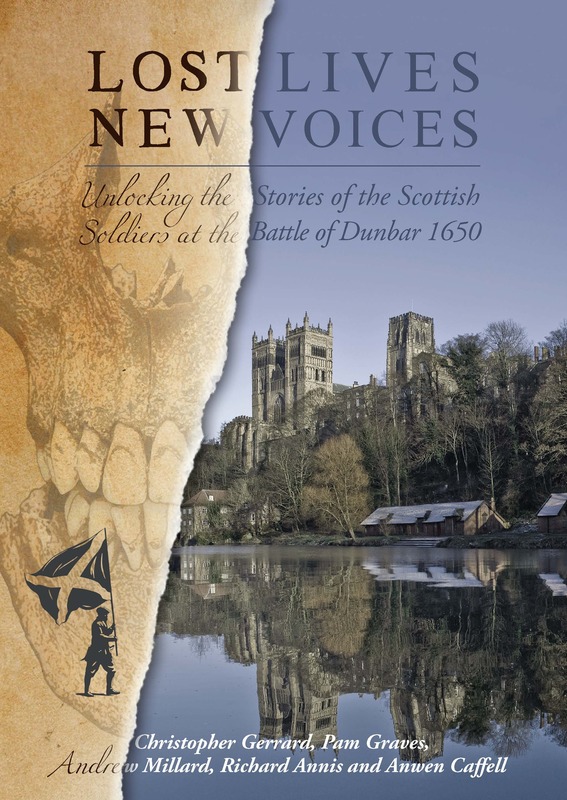 “A new book, to be published this June, tells their story; their lives before the battle, how they came to Durham, how they died, and how they came to have disappeared from view for over 360 years. These were ordinary people, caught up in extraordinary events. As a result of the project, we know more about them than any comparable group from 17th-century Scotland. The story also looks at some of their fellow prisoners; men who survived their captivity and regained their freedom. Some went on to new lives, unimaginable to them before the battle that changed everything, in new landscapes on the edge of the known world. 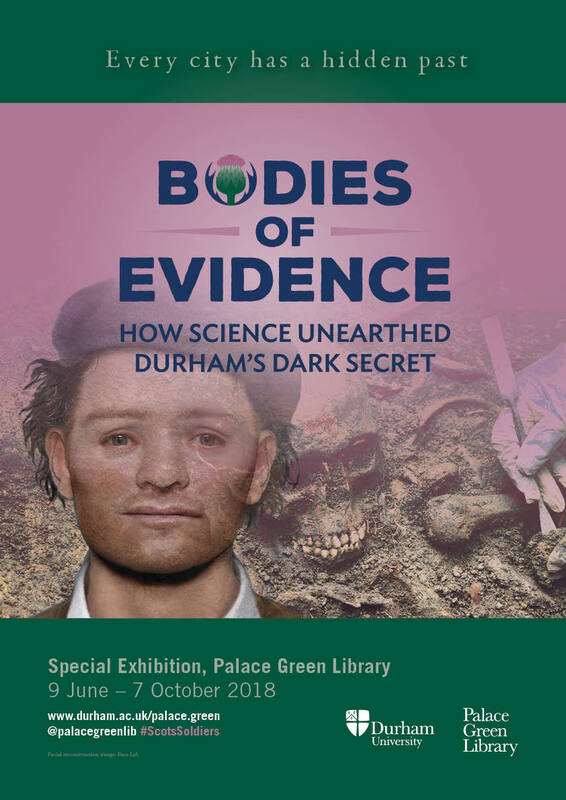 “The exhibition Bodies of Evidence: How Science Unearthed Durham’s Dark Secret will be told in a major exhibition at Palace Green Library. This will run from 9th June to 7th October 2018, and covers the history, the archaeology and the science that underpinned the project”. For further information on this multifaceted project, Members and Followers can read more on the Scottish Soldiers blog and see recent facial reconstruction work, putting the practices as also described in a previous BAS talk, a Youtube video. On Wednesday, the 11th, our group member the Northumberland Archaeological Group will hear an update on The Peregrini Project: Excavations on Lindisfarne from Richard Carlton of The Archaeological Practice in their monthly Newcastle meeting. 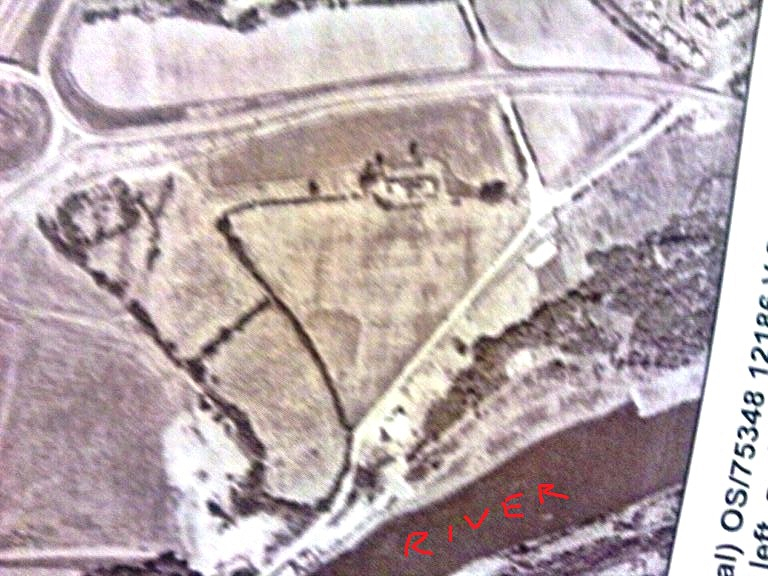 On Thursday, the 12th, in Appleby our group the Appleby Archaeology Group will also hear of The Late Iron Age royal site at Stanwick, North Yorkshire: new perspectives by Professor Colin Haselgrove of Leicester University. At both meetings visitors are most welcome to attend. Details as to the venues and times of all these meetings can be found online through our Local Societies and Groups page of our website here. A quick reminder that there is still time to book a place at this conference covered in our last email to you. If you would like to attend please follow this link or see http://www.aasdn.org.uk/NEarch18.htm for further details. This entry was posted in E Newsletter and tagged Appleby, BAS, Berwick, book, conference, Durham, Durham University, Exhibition, Iron Age, Museum, NAG, Peregrini, Roman, small finds on April 9, 2018 by cbanorth. A short email to let you know of two military archaeology lectures this weekend. These include the first of the reschedulings down to the weather at the end of last month/start of this month, and also span from the Roman period (at least?) to the Modern. You’ll have to go along to find out more. 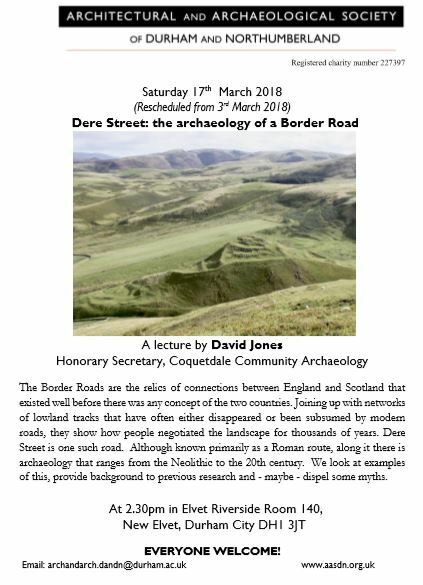 Those members and followers of CBA North who were at our April conference last year will remember the presentation by Chris Butterworth and David Jones of our group member Coquetdale Community Archaeology. This lecture will deal in more detail with the Borders Roads Project, and in particular Dere Street. The excavations of the Catterick and A1 section of this route beyond our region’s southern boundarues have been covered by previous talks and events which we have sent you notice of – this lecture will look at the northern edges of our region. Members with a longer memory will remember our CBA North tour of Blyth Battery with Chris Burgess back in 2010. If you weren’t there, but are keen to learn more about this site there is a lecture in Belford on Sunday. We’ll aim to send some more news of things past at next week from around the region. If you would like to submit anything, or indeed for the next CBA North Committee, please feel free to do so. The contributions and thoughts of all Members and Followers are most welcome at any time. Further details are through our website pages for the groups, the times and venues of these meetings. 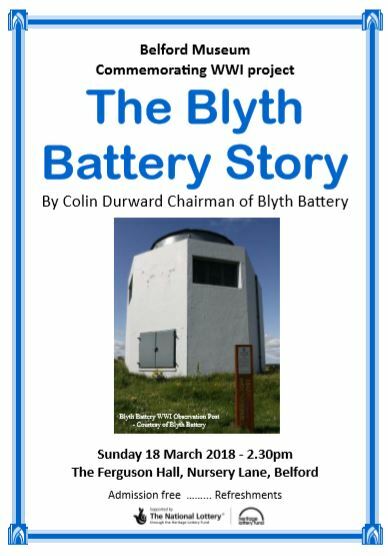 This entry was posted in E Newsletter and tagged AASDN, Archaeology, Belford, Blyth, Dere Street, lecture, Military, Modern, Museum, Northumberland, Roman on March 16, 2018 by cbanorth. Today quick news of two events which may be of particular interest to those in the Sunderland and County Durham area. This is an opportunity for both adults and children to take part in fieldwalking, trial trenching (small test pits for children) and finds washing. No experience is necessary, training will be provided by professional archaeologists from Wardell Armstrong and all equipment will be provided. The purpose of the work is to investigate the cropmark visible above on aerial photographs. This project is funded by the Heritage Lottery Fund. Further information on the project can be found at Sunderland’s Forgotten Stones website here. 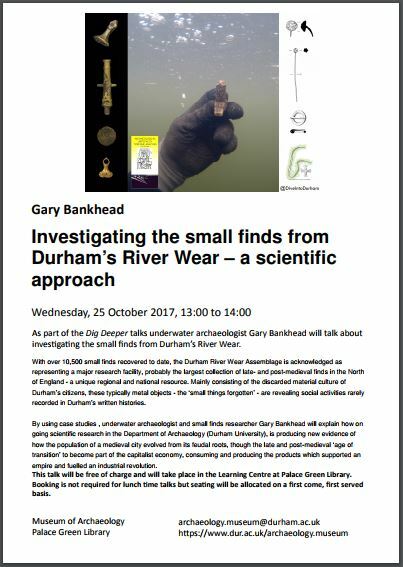 Also next week is a lecture on finds from the Durham River Wear Assemblage Project. Further information on the project can be found on here in the pages of the Department of Archaeology, Durham University. This entry was posted in E Newsletter and tagged Archaeology, community, Durham, Durham University, fieldwork, Finds, lecture, Museum, Sunderland on October 20, 2017 by cbanorth. A quick posting to our Members and Followers to notice that the Teesside Archaeological Society’s lecture tonight – only announced last night – will be Durham’s Museum of Archaeology and its Collections by Gemma Lewis, at Stockton Central Library as per normal for the group. Details for the group can be found in our Local Societies and Groups webpage. Details of other events to come, as normal are on our own website’s pages, whilst another five days remain of the Festival of Archaeology this year. We would be interested to hear what our Members and Followers are up to over this period – both from organisers of events, as well as in what others have visited. As ever feel free to get in contact with your archaeological news. for others to hear of. This entry was posted in E Newsletter and tagged Archaeology, Durham, exhibitions, lecture, Museum, TAS on July 25, 2017 by cbanorth. Archaeology is ACE across CBA North! – but that, of course, is hardly news to our Members and Followers. In this issue, however, we spell that out quite literally in an update from the Appleby Archaeology Group, a further notice of Coniston Copper with other Cumbrian Events as a first email to you with details of Festival of Archaeology events, as well as something in of a major event devoted to a single Exceptional Exhibit to be displayed at the Durham Museum of Archaeology. All are updates to pieces of work or follow-up’s on topics we have covered earlier in some way – whether in our emails or events – so perhaps this email should be titled ‘Archaeology is AAGCCCEEEE!’, but that would be a bit of a mouthful. It is always the way perhaps? Nothing happens and then everything does, but we hope that is no bad thing. We hope that this is the first of other emails that we are going to send in quick succession and to report other news. There is so much happening at the moment across CBA North-land and if you think we should be covering something feel free to let us know what. The pictures at the bottom give you a hint of what is yet to come. Thoughts in advance for how we complete our alphabet of archaeology across CBA North for the Q, U, W, X, Y and Z gratefully received – we are working on it! Martin Joyce, Chair of the Appleby Archaeology Group, Members will recall gave us a talk at last year’s AGM in Corbridge of the group’s plans for fieldwork in 2016. Here he provides for us a 2017 update; the pictures come from the brochure mentioned below. The link for this brochure, at the bottom of the update, will take you to the full version if you would like to print a copy which can be folded up as a leaflet. “Appleby Archaeology has just completed the first year of its multi-phase investigation into the history of Appleby. To mark the occasion we mounted an exhibition in the Tourist Information Centre in Appleby Town Hall. This has been a community project so we were keen to show the results and to feature pictures of all our volunteers in action. The exhibition is timed to coincide with the Festival of Archaeology and will run until the end of July. The project was very successful in capturing interest and support. Quite a few households proved keen to offer their back-gardens as test-pit sites. Our palaeography courses also proved very popular and we were lucky to be able to gain access to a variety of documents that revealed life in Medieval Appleby in a surprisingly vivid and immediate way. A full report on the first year is available on our website at DigAppleby – Breaking the Ground. This is a bit technical so we also produced a small colour brochure introducing and describing the work in more popular terms, that could be given away free by the Tourist Information Centre”. 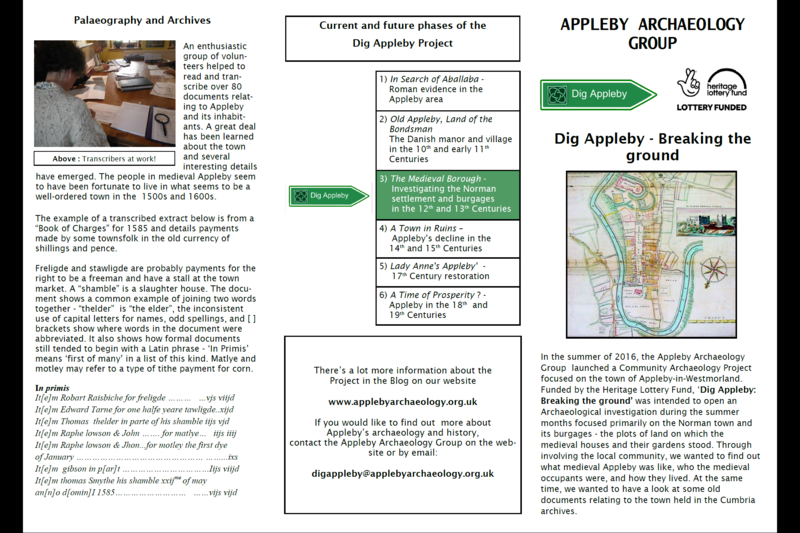 DigAppleby’s project blog, including pictures of the display, can be found online here, and details of the Appleby Archaeology Group more generally through our own CBA North website pages. Saturday sees the launch of this year’s Festival of Archaeology events all across the country and across CBA North-land as well from 15 to 30 July this year. There are a number of events covering topics that we’ve previous carried notice of – you will doubtless recall the picture below that we sent to you earlier in the year of the Coniston Copper mines sent to us by Penny Middleton of Northern Archaeological Associates. 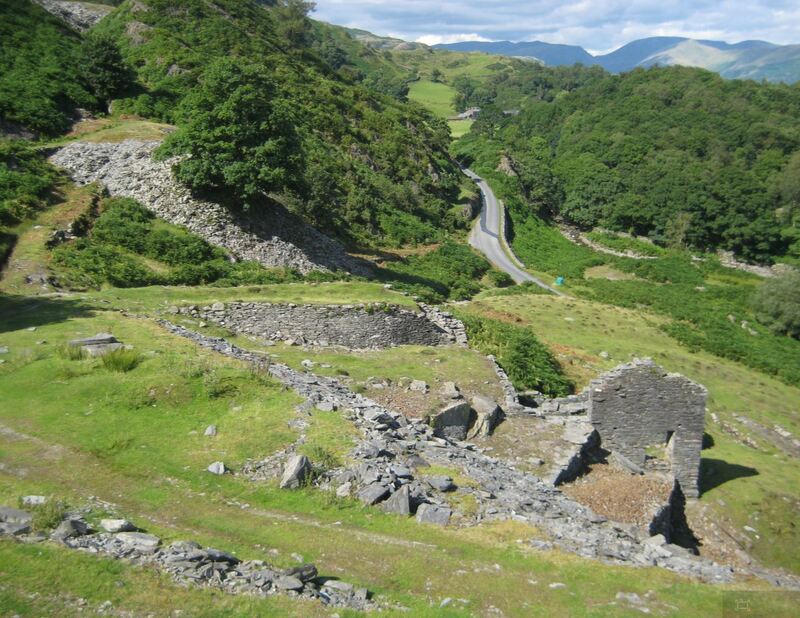 If you didn’t get involved in the fieldwork project an event, as part of the Festival of Archaeology, is being held on Saturday 15 July at the Coniston Boating Centre between 11.00 and 15.30 as part of a mining heritage day. Further details can be found online here where further opportunities to get involved in fieldwork are also listed. Other Cumbrian events can for the Festival of Archaeology can be found on this page, as well as for elsewhere. Durham’s Museum of Archaeology also leads the charge of events for this year’s Festival of Archaeology. For those of you that weren’t at our AGM this year to hear about the Portable Antiquities Scheme, you have a chance to learn some more of the scheme – perhaps also have any of your finds identified as well – on Saturday with this event. 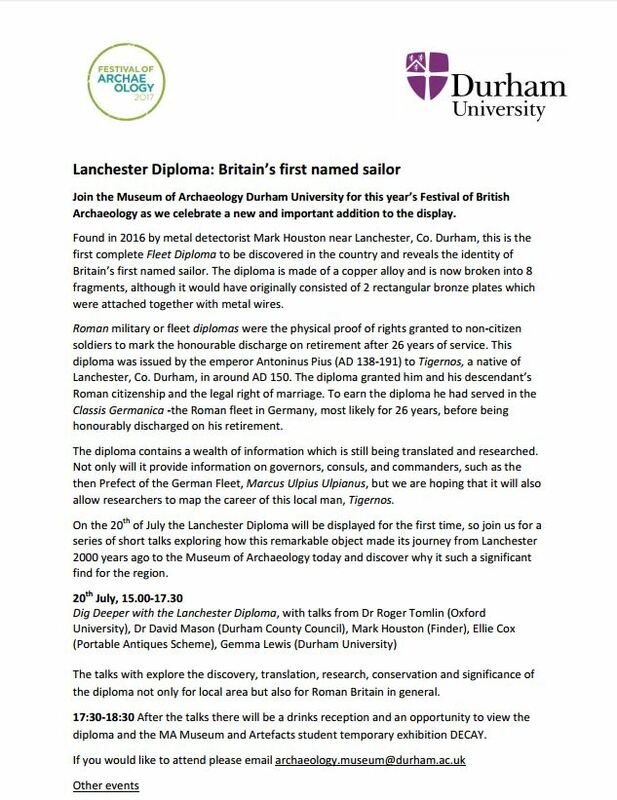 Such a find, indeed an exceptional one, which was reported to the Portable Antiquities Scheme is the Lanchester diploma. Gemma Lewis of the Durham Museum of Archaeology has sent us details of an event relating this new exhibit for the museum. There are a few finds that really change what we know beyond their immediate surroundings – this is one of them, and on first hearing of this the word “Blimey!” came to mind. If you would like to attend the event on Thursday 20 July then please email archaeology.museum@durham.ac.uk. A further event will also be held at the Museum on Saturday 29 July as well when the Roma Antiqua re-enactment group will be present between 11.00 and 15.00 to demonstrate the lives and skills of Roman soldiers. Further details on this event can be found here. 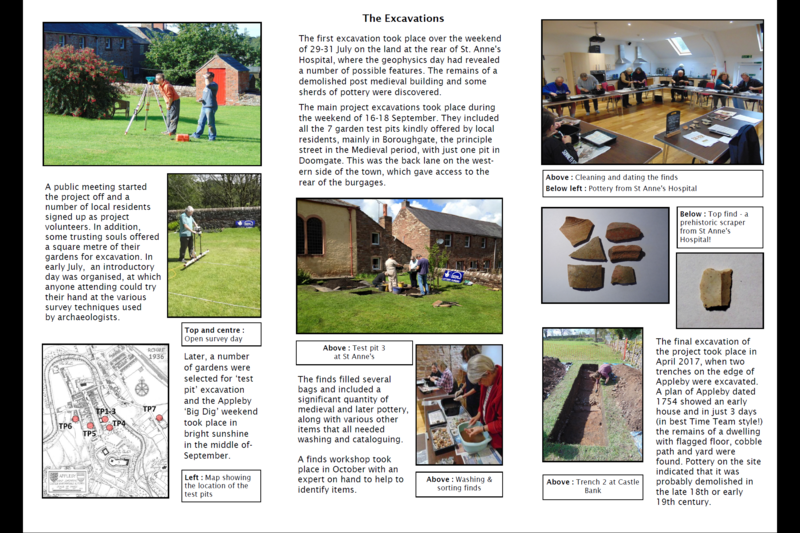 This entry was posted in E Newsletter and tagged Appleby, Coniston, Durham, Excavations, Exhibition, Finds, Finds Liaison Officers, geophysics, industrial, Mining, Museum, PAS, Post-Medieval, Roman on July 13, 2017 by cbanorth. 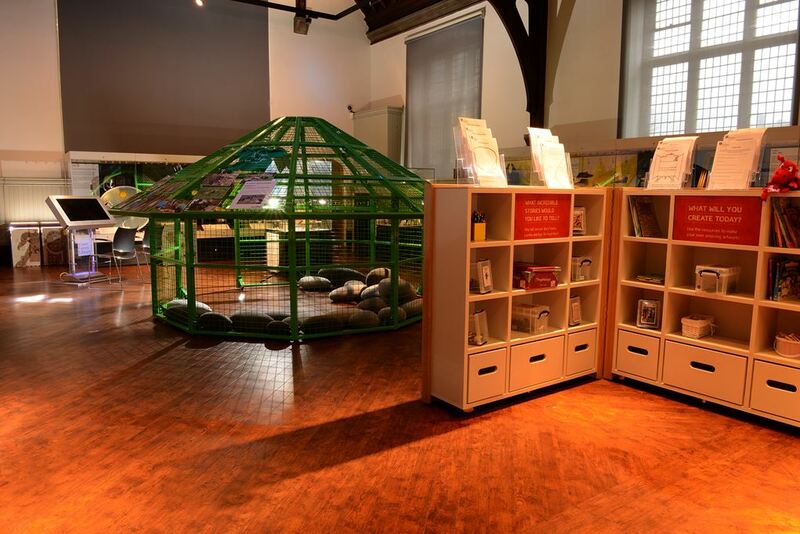 The newest group member of CBA North – the Northumberland Archaeological Group – has sent us details of their planned coach trip to Edinburgh on Saturday, 21st May, to see the Celts Exhibition at the National Museum for which there are spaces still available. This will leave Newcastle at 8.30am and return by about 6.30 pm. Details and costs etc. are to be confirmed. Those interested in attending should contact Caroline Allott, tel: 01670 513365, or e-mail: cballott@aol.com. Be sure to give your contact details and whether you are entitled to concessionary entrance to the museum. You can also write to 75, Low Stobhill, Morpeth NE61 2SQ, but be sure to give phone number and enclose an SAE. Please respond to Caroline if you are interested in attending by Monday, 11th April at the latest. Further details on NAG and their programme can be found in our webpages here, and also in our Local Societies and Groups page. 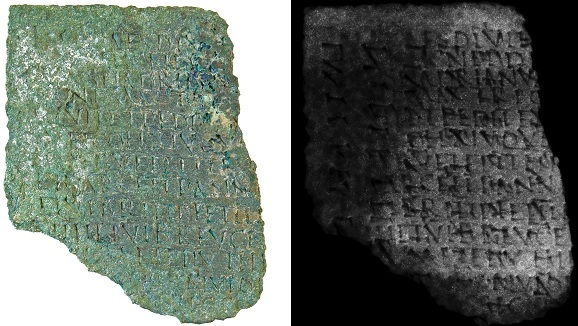 This entry was posted in E Newsletter and tagged Finds, Iron Age, Museum, NAG, Roman on March 26, 2016 by cbanorth. The Great North Museum: Hancock, in Newcastle, is shortly going to have a micro-exhibition about Humans in Ancient Britain with material on loan from the Natural History Museum, which includes the Swanscombe Neanderthal skull between 24 February and 7 April. William King had been a curator at the museum and responsible for naming Neanderthals as a separate species, so especially appropriate for this exhibition. Related to the exhibition are a pair of evening talks and pair of family events based around local collections and Palaeolithic Britain in March and April. William King was the first person to name a separate species of human when he gave the species name Homo neanderthalensis to Neanderthals at the British Association for the Advancement of Science meeting at Newcastle in 1863. He was a self-educated man from Sunderland who became curator of the Newcastle Museum (later the Hancock Museum) and then a Professor of Geology and Mineralogy at Queen’s College, Galway. King was a controversial figure, both locally, where he fell out with his employers at the Museum, and nationally as part of the debate on evolution and anthropology. Professor Harper’s talk explores King’s life and legacy. Mark White is a specialist in the Palaeolithic (the Old Stone Age) of Britain and its near neighbours. He has worked on many of the key sites of early human occupation in Britain and also has an interest in the Victorian antiquarians who first excavated some of these locations. His talk will follow the early occupation of Britain and the evidence we have about people who have lived here over the last million years. A day where we take William King, the former curator of this museum who named Neanderthals as a separate species, as the springboard to thinking about other local collectors. This day will include contributions from amongst others our own curators plus the Natural History Society of Northumbria, the Society of Antiquaries of Newcastle upon Tyne. with support from archaeologists from Durham University (tbc), the opportunity to discover our collection of human evolution skull replicas and a hand silhouette cave art activity. This entry was posted in E Newsletter and tagged Great North Museum, Museum, Newcastle, Palaeolithic on February 20, 2016 by cbanorth.